We have all heard a lot about the economic downturn and this newest recession. I did want to remind you that some are not feeling any pain in their pocketbook. 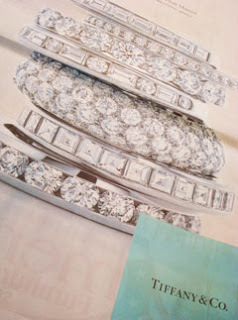 In last Sunday's Denver newspaper, there was a full-page ad for Tiffany & Co. They were advertising rings priced from $2,750 to $14,750. Victoria's Secret is selling a diamond-studded bra for $6.5 million. Compared to that, a fancy ring sounds both more practical and affordable. Oh yeah, and more comfortable too. I would be scared to wear one! Re the bra: who would see it?? I'd want to wear it on the outside.